This post has been sponsored by Best Buy. But all opinions are 100% my own! Can we just take a minute to admire these beauties?! SO GORGEOUS!!! LG’s exclusive Matte Black stainless steel combines the timeless look of stainless steel with a luxe & low-gloss matte finish that compliments literally ANY kitchen décor. 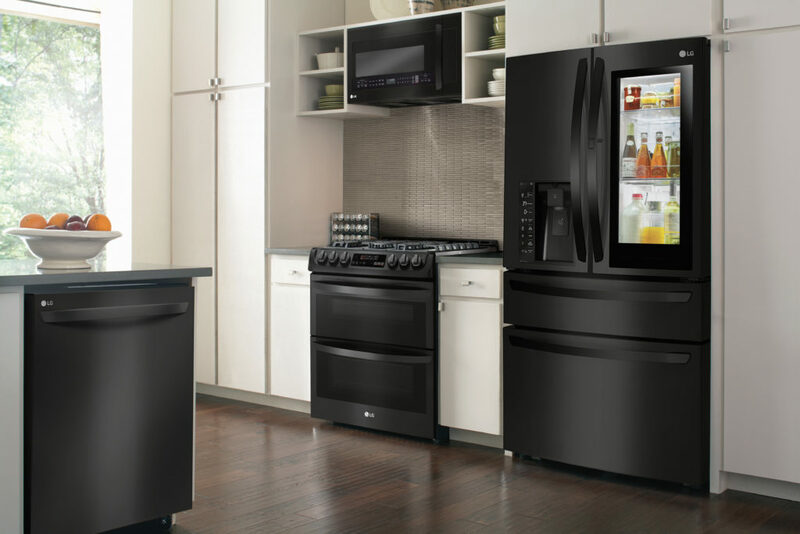 We are looking at building a house right now and I am definitely leaning towards these AMAZING Matte Black appliances. These LG smart kitchen appliances are top of the line and super high tech!! They are wi-fi and voice-enabled, allowing you to control your kitchen appliances remotely — from changing settings, to checking the status, or turning on or off. Best Buy has some great deals on kitchen appliance packages too…. $250-$350 off!! Limited time only! Head over to Best Buy and check these babies out!